The Web team at MTV recently redesigned several of their properties using responsive Web design techniques. They were kind enough to share the impact their work had on mobile visits, time spent and more. 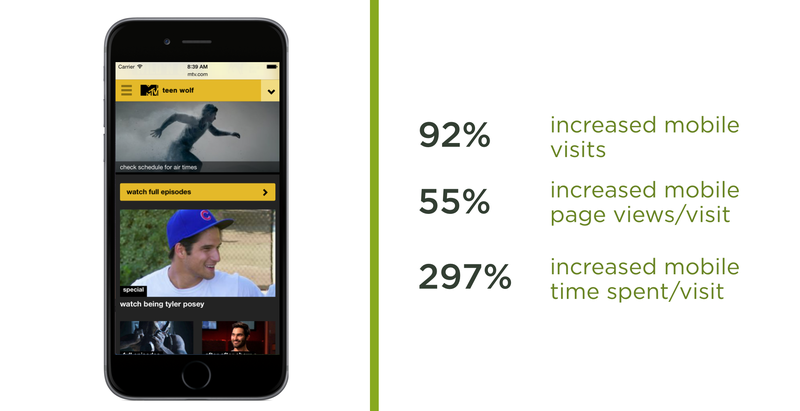 The responsive redesign of MTV's show pages had a tremendous impact on mobile engagement. Certain data points, when broken down to the device level, indicated that tablets and desktops were more alike in user behavior than mobile and tablet (especially in video viewing). 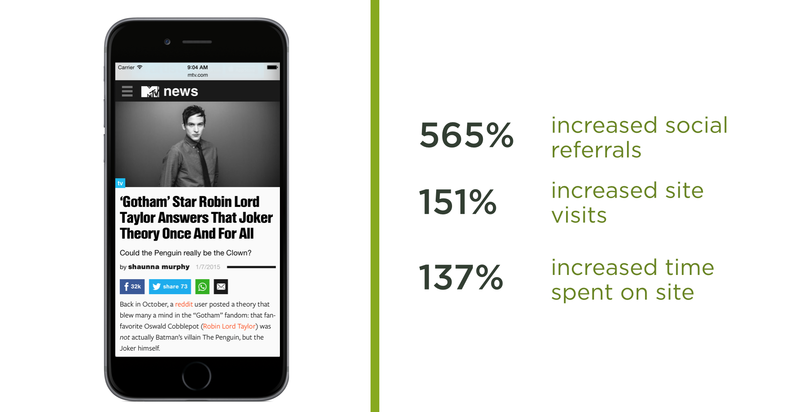 The responsive redesign of MTV's news site had a big impact across all devices. An average MTV users checks their phone over 150x per day and a large portion of time spent is on their social feeds. The social referrals above are a strong indicator that responsive web design helped the team morph their editorial products from a search to a social centered experience.